DO I NEED PLANNING PERMISSION FOR DECKING? 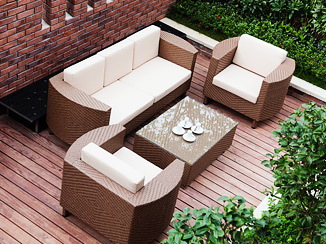 Decking really is a multi-purpose outdoor surface. Whether you need somewhere to set up your barbecue or create a mud-free play area, or if you just want a spot to snap open a deckchair, a deck is the answer. You can either build your deck as a stand-alone feature to take advantage of the gardens sunniest spot, or extend your internal floor space by attaching a deck to the front, side or back of your house. This arrangement looks fantastic when the deck is linked to the house by a set of French or folding sliding doors. Building a Deck is also one of the easiest ways to add instant value to your home as it provides an outdoor living space or work area. b) together with other extensions, outbuildings etc. the decking or platforms cover no more than 50% of the garden area. If your proposals are within these restrictions, you do not need to apply for planning permission. Many of our clients are surprised when we inform them that in certain circumstances they may require Planning Permission for decking. Although the local authority will not normally be concerned about the appearance of the decked area in your garden, they are mostly concerned about the height above ground level and the overall amount of garden being covered by the decking. If you are proposing to create decking more than 30cm above ground level, you will require Planning permission. In addition, if you intend to cover more than 50% of the total garden area with decking, you will require Planning Permission. This is true even if the decking will be well below 30cm from ground level. Please note, the 50% of total garden area includes the area occupied by any extensions or outbuildings added to the original house. If you are extending your house, erecting an outbuilding or replacing a Conservatory, you can include your proposals for decking in a single Planning Application. If you have lived in a conservation area for some time you are likely to be aware of the regulations and how these can affect home improvements. However if you have recently moved into the area it is most likely to be all new to you. That being said, one of the reasons that you purchased your new home may well have been the character of the locality and the preservation the conservation status has provided. It is important to note, Conservation areas are not intended to lock a place in the past as a form of living museum, new development is often permitted but it will have to be undertaken sympathetically to conform to the existing environment. If you are planning to install decking in a conservation area or remove existing Decking that you plan to replace, it is absolutely necessary to obtain the required conservation area consent prior to beginning any works on your decking. Going ahead without this may result in a fine or imprisonment, or both. At Drawing and Planning, our consultants have extensive knowledge and expertise in the numerous and varying planning Articles, Directions and restrictions of all that relate to decking and all other household projects. Our team of consultants would be glad to assist you with any query you may have regarding decking. Should you need planning permission for your decking, we would be glad to assist you with all elements of your application. If you would require drawing only, our in house architects can provide you with detailed existing and proposed drawings for all types of decking. When it comes to building things on a piece of property, most Europeans have questions concerning planning permissions. As far as planning permissions for decking are concerned, you do not need any as long as the decking that you are going to be building fits within a few simple guidelines. First of all, the decking should not exceed thirty centimeters off of the ground that it is built on top of, secondly, with all of the extensions and other buildings that are added onto the decking or the platforms they should not cover more than fifty percent of the gardening area that they are being built for. As long as the decking that is being built in your gardening area fits all of these requirements, you do not need to ask yourself do I need planning permission for decking.